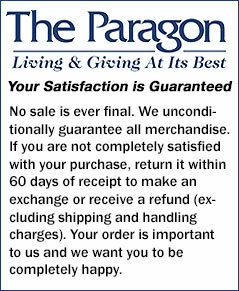 Get final markdown values on clothing, accessories, gifts, jewelry, home and garden décor items at The Paragon's Closeouts! Save big right now!! This is your last chance to get these products at the deepest discounts! Reduced for Final Sale, quantities are very limited.